The Massachusetts Board of Registration in Medicine has been alerted to an increasing number of injuries tied to robotic surgery, prompting health officials to demand more training, a higher level of oversight and clear disclosure to patients about the risks they may face when undergoing such a procedure. Our Boston medical malpractice attorneys know that while state officials haven’t listed the exact number of robot-assisted surgery injuries in the state, they did cite three examples with devastating consequences. One of those involved a patient whose rectal tissue was mistakenly left inside the abdomen following a surgery to correct ulcerative colitis. Another patient who had undergone robotic surgery for ovary removal and hysterectomy suffered major damage to one of her ureters and the bowel, which mandated she undergo a number of painful corrective surgeries to fix. The state board issued an advisory to the public, warning that surgery with the assistance of robots, like any other surgery, can have serious complications and outcomes that are poor. The state cautioned too that surgeons should be rated by patients not on the basis of how many surgeries they have completed, but rather the surgeon’s proven proficiency and competency. State officials never specifically called out any one company in their warning. However, Intuitive Surgical Inc., which is based out of California, is the only firm with a robot system that has been approved by the U.S. Food & Drug Administration for soft tissue surgeries in America. Those familiar with robotic surgery know that it essentially works like this: A surgeon will sit at a console in front of a high-definition screen. Similar to a video game, the surgeon will be able to manipulate hand and food controls to position the mechanical arms of the device, which are affixed with various surgical tools. On the screen, the doctor views a 3-D image of the work as it is being done. The idea is to improve precision. In theory, it’s great. However, the actual outcomes have in some cases been less-than-stellar. That’s not to say that surgeons don’t make mistakes when they are performing such operations by hand. However, a strong argument has been made that these machines aren’t any better or more effective than regular surgery and that the rate of error fails to justify the enormous cost associated with these machines. Patients are often not informed of this, however, because hospitals tend to exaggerate the effectiveness of these devices. Researchers with Johns Hopkins University School of Medicine conducted a study in 2011 that found nearly 9 out of 10 hospital websites that made mention of robotic surgery asserted that such procedures were superior to regular surgery, though none of those websites detailed any of the risks. In the last year, nearly a dozen lawsuits have been filed alleging major injuries from robotic surgery, and nearly all of those make mention of the fact that surgeons aren’t being adequately trained on the devices. 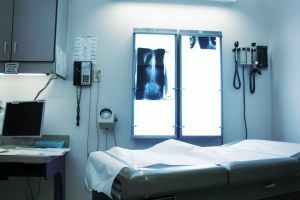 Federal regulators right now are working to compile information regarding this recent increase in adverse reports, which include at least 70 deaths in the last four years. If you have been a victim of medical malpractice in Massachusetts, call the Law Offices of Jeffrey S. Glassman for a free and confidential appointment — 1-888-367-2900.